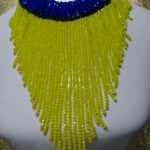 A winning combination AND a must have in any wardrobe. 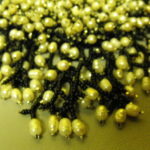 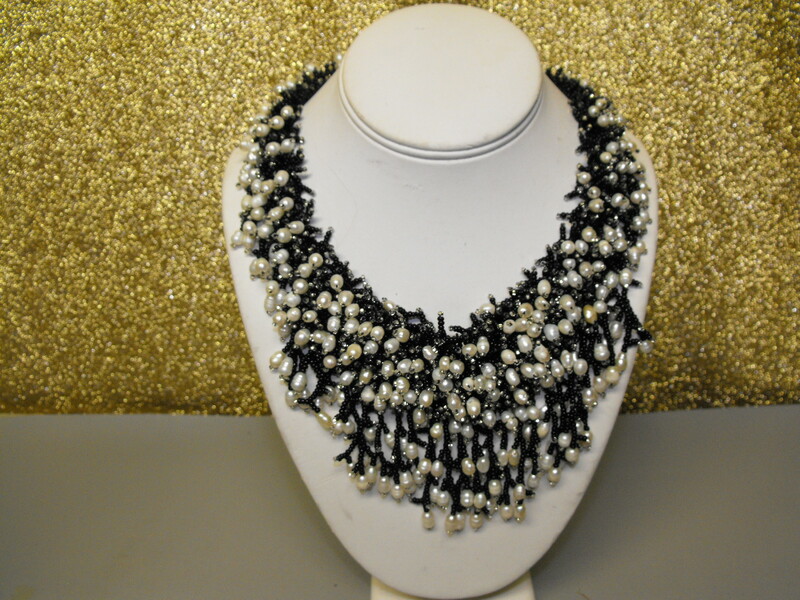 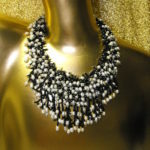 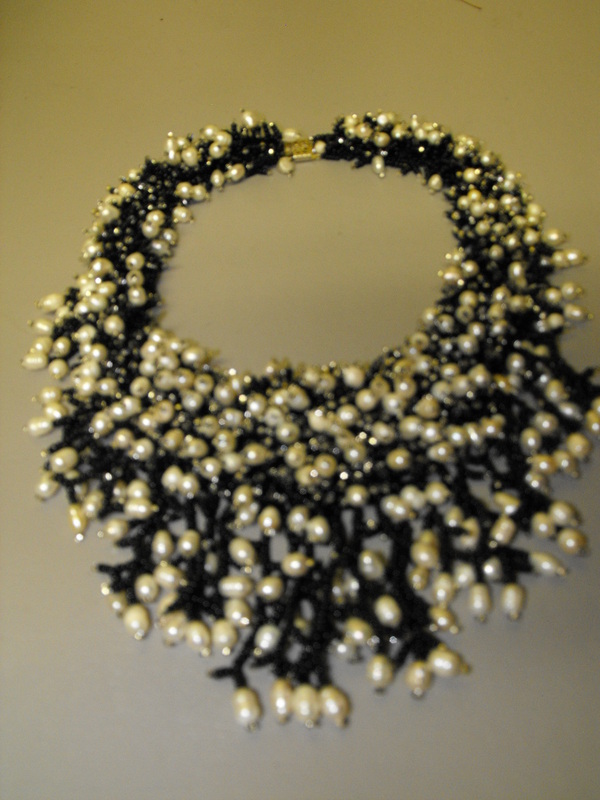 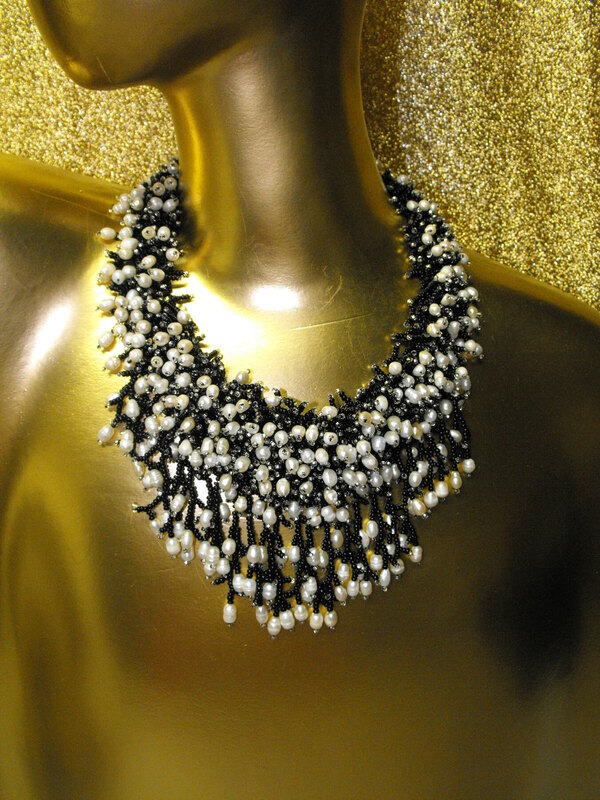 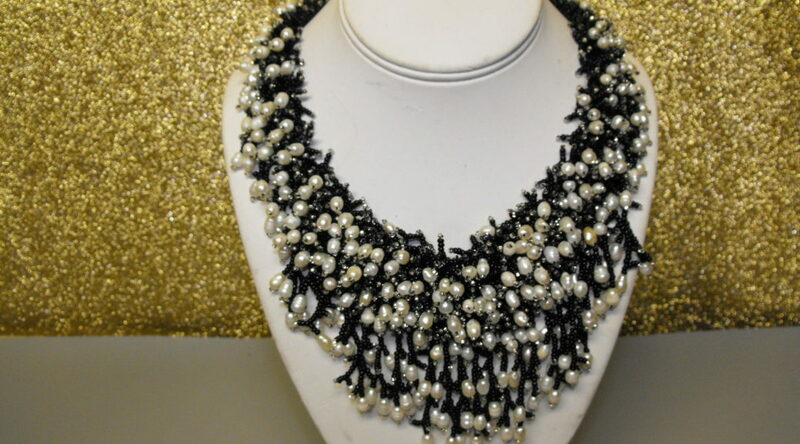 This bib necklace consists of “rice” Freshwater Pearls combined with Black Onyx Beads all woven together to form a bib design all held together with an open box clasp. 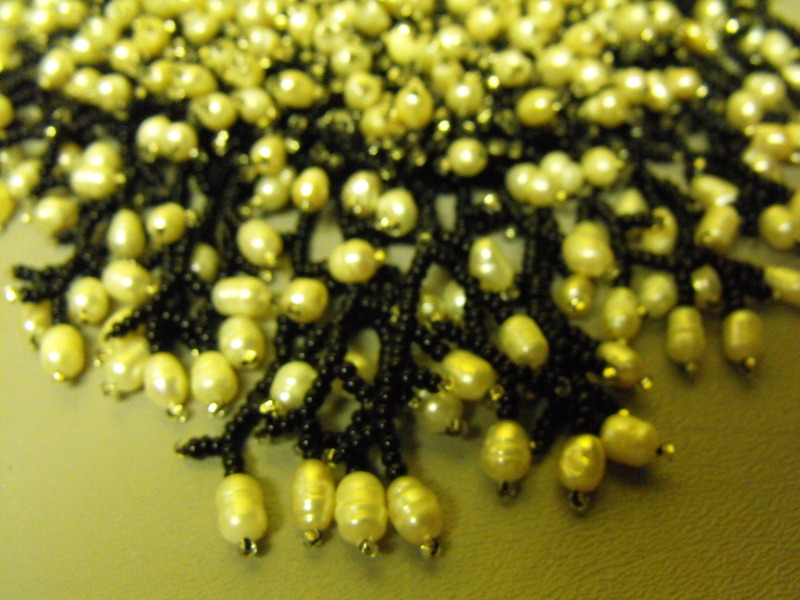 Impossible to make a mistake with this one. 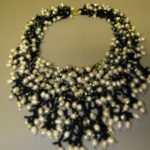 Remember: Shipping & Insurance Are Always At No Charge.